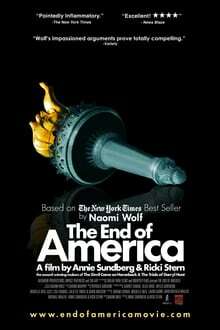 Based on her book of the same name, Naomi Wolf presents controversial evidence that America has begun a frightening descent into dictatorship and fascism. American democracy, as we know it, is under attack. By examining the chilling parallels between the current state of our nation and the ascent of dictators and fascism in other once-free societies, Wolf urges viewers to open their eyes to the horrors that lie ahead. From the increased use of paramilitary groups to the construction of secret prisons and the targeted suspension of the rule of law, the warning signs are all there for people to wake up and finally take notice.